A Apple Pie - This pdf file of Kate Greenway's exquisitely illustrated alphabet book, A Apple Pie, can be used to create a vintage border or as a model for students to create and illustrate their own alphabet books. Beginning Sounds - Letter Tile Mats - Print and laminate these colorfully illustrated mats from Prekinders Resources for Teachers. Have students match letter tiles to pictures representing the beginning sounds those letters make. Alphabet Game - Follow Ms. De Pinto's instructions for a game in which students practice matching capital and lower case letters. A to Z Teacher Stuff Alphabet Activities - Classroom tested activities submitted by teachers from around the country. Contents include ABC Homework Ideas, Alphabet Letter Formation Poems, Letter Songs and Chants, Alphabet Art, Games, Center Practice, Alphabet Crafts, Templates, Charts, Crafts, Recipes, Books, and Math and Science Crossover Ideas. A to Z Teachers Stuff Alphabet Learning Centers - Hands-on activities for learning letters. A to Z Teachers Stuff Alphabet Recognition Game - A relay race in which children practice identifying the letters of the alphabet. Pre-K Alphabet Activities - Lots of multi-sensory, tactile kinesthetic activities for teaching letters. Digraph Drive - This site is filled with resources for teaching digraphs and word families. Contents include rhymes, rules, games, colorfully illustrated printable cards, and printable worksheets. The site also includes printable mini-books featuring word families. Learning Beginning Letter Sounds - Itsy Bitsy Books - This Kids Zone page features printable beginning consonant mini-books. Students read the early literacy books and color in the black and white drawings. Little Giraffes - Working with Words - Use these tactile kinesthetic activities to introduce word families. The Virtual Vine - Literacy Connections - This site is filled with songs, pocket charts, wall displays, centers, and activities for teaching letters, sight words, and early literacy skills. Star Fall - ABC Worksheets - Students can practice writing capital and lower case letters on these printable worksheets. These worksheets contain illustrations representing the sounds the letters make. Star Fall - Reading Level I - Printable worksheets for teaching short vowels. Star Fall - Reading Level II - Worksheets for teaching long vowels and the letter y. Star Fall - Phonics Puzzle Activities - These aren't actual puzzles but early literacy worksheets for practicing the writing and usage of words featuring short vowels. Phonics Projects - Fun hands-on activities for practicing phonics. Alphabet Coloring Pages - Upper and lower case letters integrated into drawings of animals and things that begin with those letters. Kids Zone - Learning Letter Sounds - Worksheets covering beginning consonants, ending consonants, beginning short vowels, and middle short vowels. Kids Zone - Ending Consonants - Worksheets for practicing the ending sounds made by consonants. Children can color in the black and white drawings. Carls Corner - Suffix City - The title of this web page is a misnomer. It does not deal with suffixes but it contains illustrated, printable worksheets for practicing word families and for conjugating simple verbs. Alfabeto - An interactive audio-visual website for learning names and shapes of letters in Spanish. Fichas de Letras y Palabras - Spanish language worksheets for teaching students how to write capital and lower case letters. Reading and Literacy Skills - This site is for home-school parents and tutors but has lots of useful worksheets. The site says it's for third graders, but some of the topics are really for earlier grades. The worksheets are quick and easy to follow, perfect for homework assignments. Topics include alphabetizing. The Virtual Vine Literacy Connections - Songs, pocket charts, wall displays, centers, and activities for teaching letters, sight words, and early literacy skills. Carls Corner Sight Words - Hands-on and multi-sensory activities. Little Giraffes - Literacy - These literacy building activities will help beginning readers recognize commonly used words and understand how words work together to form sentences. The site also includes some fun phonics activities. Themed Itsy Bitsy Books - The printable mini-books featured on this Kids Zone page are centered around themes that will appeal to kindergarteners. These themes include animals, pirates, the jungle, the ocean, holidays, and nursery rhymes. Students trace the letters, read the words, and color the pictures. Struggling Reader - This Carl's Corner webpage offers tips and interventions for helping struggling readers. Little Giraffes - Building Awareness of Letters, Words, and Sounds - These hands-on, multi-sensory activities will make young learners more aware of letters and the sounds they make, as well as sight words and how words work together to form sentences. Education World Language and Literature Center - This frequently updated website is filled with news, lesson plans, and activities from reading teachers around the country. Third Grade Reading and Literacy Skills - This site is for home-school parents and tutors but has lots of useful worksheets. Topics include using a title page, table of contents, glossary, index, different parts of a book, a dictionary, and any encyclopedia and understanding what kind of information you can find in biographies, autobiographies, and atlases. Reading Planet - Students who register with Reading Planet can rate and review the books they have read and create a virtual bookshelf of the books they want to read. This site includes a Heritage Shelf containing ethnic-specific stories, activities, and games. The Meet the Authors page links to interviews with dozens of popular childrens writers and illustrators. Teaching Literacy in English - This multi-media website is geared towards Kindergarten through Fifth Grade Language Arts teachers. Contents include the use of assessments to screen for reading problems and monitor progress, using intensive, small group reading interventions for students at risk for reading problems, integrating extensive and varied vocabulary instruction throughout the school day, developing academic English competence beginning in the early grades, and scheduling peer-assisted learning opportunities. 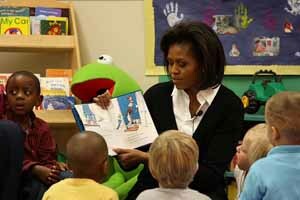 Federal Resources for Educational Excellence - Reading - Resources and strategies for teaching young children to read and to improve the reading skills of early adolescents. Mrs. Bonzer's Syllable Word Cards - Scroll down to Word Cards and select Syllable Word Cards. This will open a pdf file of colorful, exquisite cartoon pictures with one-word captions perfect for practicing syllable counts. 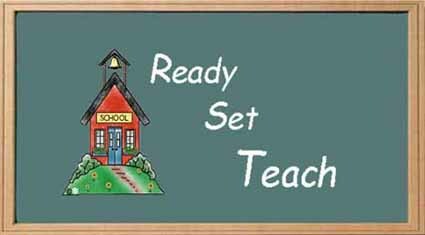 Literacy Components - This web page from the Children's Learning Center describes how and why to use Attendance Charts, Helper Charts, Daily Schedule Charts, and Centers Signs to promote literacy. Mrs. Bonzer's Mini-Books - Colorful, illustrated mini-books for printing and assembling for Kindergarteners. Kids Zone Draw a Cover for Your Favorite Book - Include title and author. Reading Comprehension - Short reading comprehension worksheets ideal for bell work or short homework assignments. Second to fourth grade level. Readings include stories, poems, essays, and articles. Ms. De Pinto's Reading Comprehension Strategies - Seven comprehension decoding strategies to use while reading, colorfully represented by seven different animals. Yakaberry Riddles, Rhymes, Songs, Fingerplays - Reading enrichment activities. Ms. De Pinto's Rhyming Activities - Includes Rhyming Bingo instructions and printable boards. Read Write Think - Lesson plans organized by grade level, themes, and objectives. Editing as Close-Reading: Cutting and Performing Complex Texts - This detailed two-day (two forty-five minute class periods) lesson plan has students evaluate, edit, and perform select scenes from Shakespearean plays. Carls Corner Antonyms Alley - Worksheets, activities, puzzles, and more. Carls Corner Synonym City - Word lists, worksheet, and more. Many Things English Vocabulary Word Lists - Vocabulary Building Games and Activities many of which can also be used to improve spelling. Many Things - Tons of simple but well-produced interactive web pages for helping ESL students master English pronunciation, vocabulary, and more. Reading and Literacy Skills - This site is for home-school parents and tutors but has lots of useful worksheets. The site says it's for third graders, but some of the topics are really for earlier grades. The worksheets are quick and easy to follow, perfect for homework assignments. Topics include parts of speech (nouns, verbs, and adjectives), plural nouns, and possessive nouns. Reading and Literacy Skills - Apostrophes - This site is for home-school parents and tutors but has lots of useful worksheets. The site says it's for third graders, but some of the topics are really for earlier grades. The worksheets are quick and easy to follow, perfect for homework assignments. Topics include possessive nouns and contractions. Ms. De Pinto's Punctuation - Introducing the period, the question mark, the exclamation point, the comma, and the quotation mark. Education World Every Day Edit - This site offers a daily paragraph with ten built-in errors of basic spelling, grammar, punctuation, or capitalization. Great bell work and warm up exercise. Warm-ups are tied to months and include themed material relevant to that month. The Elements of Style - Complete online text of an early edition of Strunk's timeless and concise book on writing English correctly. Considered to be as relevant today as it was when it was first published in 1918. Reading and Literacy Skills - This site is for home-school parents and tutors but has lots of useful worksheets. The site says it's for third graders, but some of the topics are really for earlier grades. The worksheets are quick and easy to follow, perfect for homework assignments. Topics includesome basic writing process activities. Some of the worksheets are much better than others, so be selective. DLTK Custom Writing Paper - Customize and print your own themed writing paper. Printable Backgrounds - Themed color-watermark backgrounds for writing paper. Themes include ABC's, Autumn, Halloween, School, and Thanksgiving. Education World Writing Bugs - Writing prompts on decorated paper with some writing tips at the bottom. Geared towards early elementary school grades. Organized by months with many topics relating to seasons and holidays. Decorated Lined Primary Writng Paper - Beautifully decorated lined writing paper suitable for beginning writers. Fall and winter themes. Decorated Lined Paper - Themes include cats, dogs, dolphins, robots, the jungle, monsters, pirates, genies, fairies, scarecrows, aliens, lighthouses, Halloween, wizards, the sea, treasure chests, and detectives. Ms. Bonzer's Writing Paper - Colorfully illustrated, lined writing paper suitable for beginning writers. Themes include school, farm animals, pizza, and holidays. Dream in Color - A resource guide in pdf format for teaching poetry writing to middle schoolers. Organized by Maya Angelo, the guide contains poems by African Americans and detailed lesson plans and activities based on those poems. Alphabet Aerobics - Absolutely Awesome and Astounding Alliteration - Clearly Daniel Radcliffe has not lost his magic. Have junior high and high school students watch his Tonight Show performance of Blackalicious' (PG-13) rap Alphabet Aerobics as a high energy example of alliteration. You may want to challenge students, individually or in groups, to write alphabet raps of their own with the help of a dictionary. Here are the original lyrics if you want to copy them, edit out the one offensive word (Radcliffe skips over it in his performance), and share them with your class. Teachers & Writers Magazine - Teachers & Writers Magazine- An online magazine for Creative Writing teachers by Creative Writing teachers. Articles include lesson plans. A to Z Teacher's Stuff - Activities Tied to Specific Children's Books - Brown Bear Brown Bear What Do You See?, Chicka Chicka Boom Boom, Chicken Soup with Rice, The Cow that Went Oink, Does a Kangaroo Have a Mother Too?, Dr. Seuss ABC, Feast for Ten, Five Little Monkeys, From Head to Toe, Gingerbread Baby, The Gingerbread Man, Go Away Big Green Monster, Goldilocks and the Three Bears, The Hat, I Know an Old Lady Who Swallowed a Fly, It Looked Like Spilt Milk, It's Thanksgiving, Jump Frog Jump, The Little Red Hen, Little Red Riding Hood, The Mitten, Mouse Paint, The Napping House, The Night Before Christmas, Officer Buckle and Gloria, One Windy Wednesday, Polar Bear Polar Bear What Do You Hear?, Quick as a Cricket, Rain, Rosie's Walk, Silly Sally, The Snowy Day, The Three Billy Goats Gruff, Three Little Pigs, Today is Monday, Town House Country Mouse, The Very Hungry Caterpillar, Where is Spot? Whose Baby Am I? Recommended Reading - One Hundred Picture Books Everyone Should Know - A list of recommended picture books from the New York Public Library. Each listing includes a photo of the book's cover and a brief description of the book. Storyline Online - Streaming online videos of Screen Actors Guild members reading children's books aloud. Activities and lesson ideas accompany each story. Rare Books and Special Collections - Childrens Literature - Beautifully illustrated pdf files of childrens books now in the public domain. Contents include The Arabian Nights, A Child's Garden of Verses, Ballad of the Lost Hare, A Christmas Carol, Humpty Dumpty, The Grasshopper Stories, Mother Goose Finger Plays, The Pied Piper of Hamelin, The Rocket Book, The Secret Garden, Stories from Hans Andersen, The Three Bears, Three Little Pigs, and The Wonderful Wizard of Oz. Children's eBooks OnLine - Brought to you by the New York Public Library, this website contains virtual collections of children's books. These include TumbleBooks (animated English language and Spanish language children's books read aloud by narrators), The Rosetta Project (scanned historical children's books), International Children's Digital Library (the goal of this library is to make more than 10,000 books in at least 100 languages freely available online), Story Place (animated stories, reading lists, and activities), Book Hive (online videos of professional story tellers telling folk tales), and Clifford the Big Red Dog (several Clifford stories to be read and listened to online). The Jane Austen Society of North America - Dedicated to the enjoyment and appreciation of Jane Austen and her writings, this all-volunteer association welcomes students, teachers, members, and visitors to use its online resources. The Publication section contains dozens of articles and book reviews on Austen's writings, life, and times. The association and its regional groups throughout the United States and Canada invite Austen fans to participate in their activities and conferences. Internet4Classrooms Interactive Graphs and Worksheets I - Content includes a Concept Map Samples, Make a Story Web, a Pre-Reading Clock, Templates for Graphic Organizers, Timelines, and Venn Diagrams. Internet4Classrooms Excel Workbooks - Download these Excel workbooks. Content includes interactive branching stories, literacy activities, crossword puzzle templates, a Jeopardy template, and Mad-Libs.